This cheerful little puppy will be an inseparable companion for your travels, or for your friends and family. Its small size means that it will fit in just about any bag or suitcase. Play around with the colours, give him some spots, make some parts a different colour… the possiblities endless, and he will always be unique. Link to the free pattern is below. 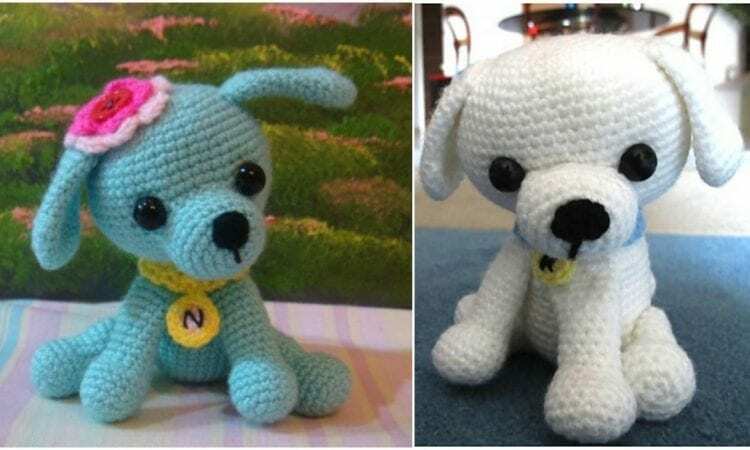 Ami Curious Puppy – Little Kino -Free Crochet Pattern is >>here. Don’t forget to Like us on Facebook. Share your ideas and your work on our Facebook group! Cute if you like chihuahuas . Post an English Bulldog pattern please.